The Republic of Austria is not the only one celebrating a birthday this year: Austria’s Internet also has many reasons to celebrate. Exactly 30 years ago, the Country Code Top-Level Domain .at was added to the global Domain Name System. 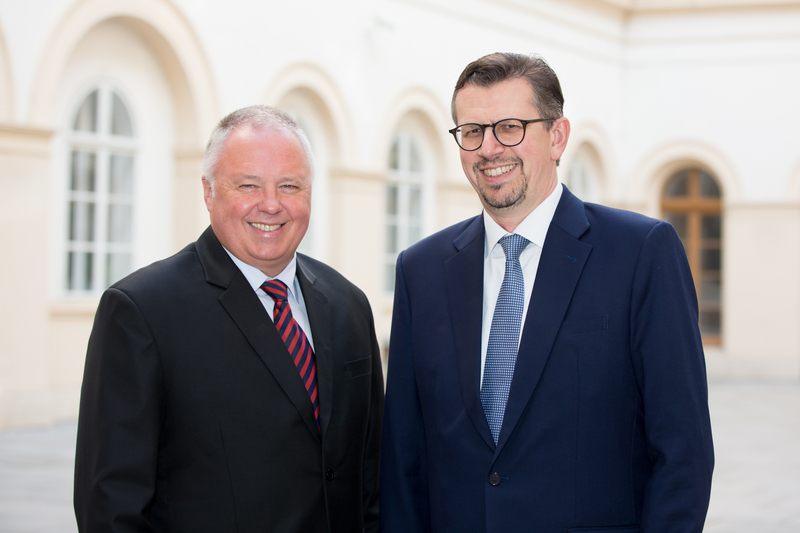 In 1998, the Austrian Registry nic.at was founded together with the report centre Stopline. 10 years later, CERT.at (Austria’s Computer Emergency Response Team) was founded. In case you are looking for a creative New Year's Eve drink to surprise your guests with: We have come up with something special this year! Try the nic.at Cranberry Orance Secco. The elegant drikn in nic.at red is bound to turn heads at your party. In our current nic//report we want to review the year gone by and to give an outlook on the year to come. 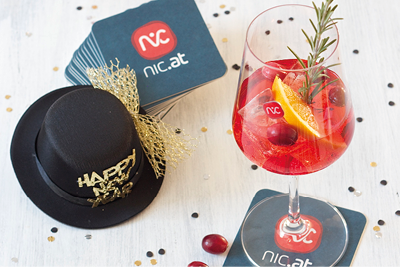 Take a dip into the diversified world of nic.at and see what has kept us busy in 2017! Like all other companies, registries and registrars must ensure they comply with the GDPR from 25 May 2018. 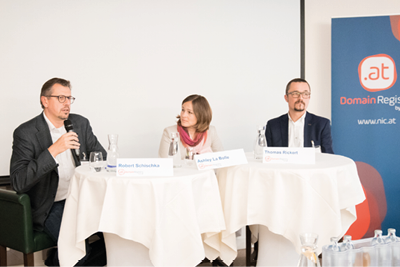 A group of experts discussed the specific implications for the domain industry – which come in addition to the general requirements – at the nic.at Registrar Day in Vienna on 30 November 2017. 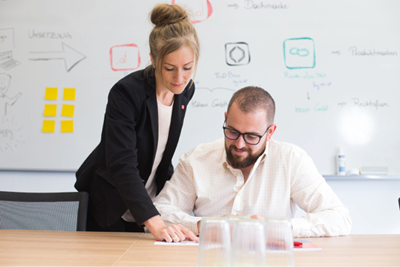 After days and nights spent working away in our offices, comparing notes in various meeting rooms and talking to numerous different agencies, we can now finally present the brand-new nic.at website. As you have probably noticed, we have also given our branding a complete makeover. 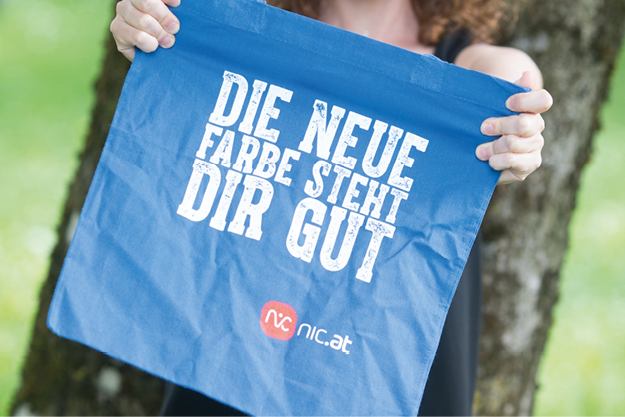 Since it was founded in 1998, nic.at has steadily expanded its service portfolio. In 2004 we set up ipcom GmbH, the subsidiary tasked with taking RcodeZero Anycyst DNS to market. What began as a basic Anycast service with only a few locations is now a powerful network with a host of additional services for a stable DNS. 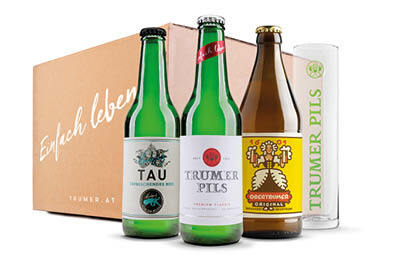 We have the perfect accessory to help bring the curtain down on summer: a year’s subscription to Hopfenbox, a range of carefully selected, slow-brewed speciality beers with a seasonal theme from international award-winning private brewery Trumer in Salzburg.